Dr. Paul Toyne, one of the industry’s leading sustainability ‘thought leaders’, will chair and moderate this year’s Forum on 10 April. Toyne has a diverse background – having worked as an environmental campaigner, conservationist and a specialist on sustainable built environment. TEPPFA, the leading European voice of the plastic pipe and fittings manufacturers is delighted to announce that Dr. Paul Toyne will chair and moderate the 2018 TEPPFA Forum. The 2018 Forum is scheduled to take place at the heart of European Capital in Sofitel Brussels Europe on 10 April. The renowned biennial TEPPFA Forum aims at connecting European policy makers with leading industry stakeholders – all through the plastic pipe value chain to discuss selected topics that might impact the plastic pipes and fittings sector in the EU. It is an ideal opportunity to raise awareness about the solutions that TEPPFA members are offering to meet major EU policy priority targets. These targets include climate change, circular economy, drinking water, sustainable building, resource depletion and clean energy). The TEPPFA Forum 2018 is part of TEPPF A’s communication campaign: “Discover:Plastics”. Performance, Strength, Longevity and Flexibility (www.discover-plasticpipes.com). The campaign was launched mid-September to promote the benefits of plastic pipes throughout Europe. He is an independent adviser, supporting all aspects of the construction value chain to improve environmental and sustainability performance. He is a London Sustainable Development Commissioner appointed by the Mayor of that city as well as being the Chair of Constructing Excellence’s sustainability group. He is also a member of the Infrastructure Working Group of the UK Government’s Green Construction Board. 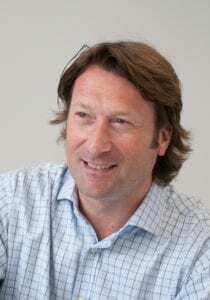 Toyne has worked in design, construction and development, holding senior posts as Group Environment and Sustainability Director for both Balfour Beatty Group and WSP and as head of sustainability for Bovis LendLease. Further details about the program and registration for the Forum will be announced in the coming weeks. On Tuesday, 10 April 2018 The European Plastic Pipes and Fittings Association will hold its new edition of the biennial Forum. The conference's overall theme is Discover Plastics: Performance, Strength, Flexibility and Longevity.